Luckily, he also found time to answer a few questions for us here at the Shirt List so read the Jon Penn interview to discover more about Jon Penn and Goodfibres. First can you tell us a little bit about your background and your connection to Goodfibres? I am the co-founder and director of a London-based gift design company called Spinning Hat. We create original concepts and transform them into exciting new products that are fun and innovative. Our goal is to make people smile and so far, after six years, it’s working. Our products are now sold in over 30+ countries and sold to some of the biggest names in retail. We decided that it would be fun to channel some of our success into another outlet and since I love t-shirts and wear them almost everyday and really admire ethical brands with a strong sense of design like Innocent Smoothies and companies that utilize crowd-sourcing like Threadless, we decided to create something that merged these qualities. As they cater to the same demographic we are already serving it seemed like an easy move for us. You and Damon started Spinning Hat in 2005 and built it from the ground up selling fun gift items. Why branch out into the apparel industry now? Well Spinning Hat’s target market has always been for the 18-35 year olds so we decided to look at what other products we could provide to the same demographic outside of the gift market and this seemed like a natural progression. 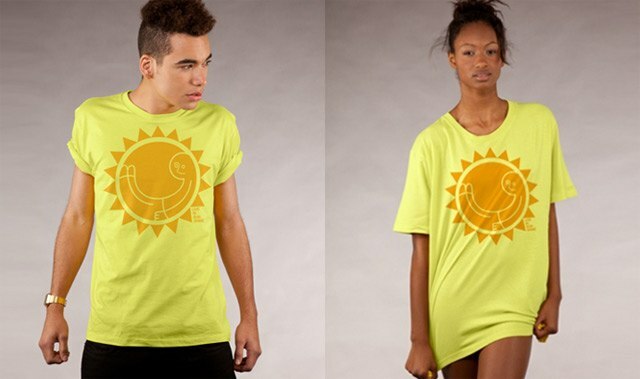 Fashionable apparel although a competitive market, is a must have item for most 18-35 year olds and having worked with many talented artists over the years it seemed like a great fit. Probably one of the biggest driving forces behind this idea though was looking at how we can build a brand that not only gives the customer a good quality product but it also helps others around the world that really need it! Where did the name Goodfibres come from? Goodfibres is for artists, and those who appreciate art, to share their tastes and talent to promote cool t shirt designs for a good cause. We believe that the individual spirit of many can be used to collectively inspire, and directly impact many people’s lives. We hope to build a unique relationship between our artists and our customers by providing a venue for artists to showcase their other projects and by allowing customers to voice their support and feedback on new designs. Additionally, we hope to create a forum where users can discuss causes that they feel strongly about and collectively choose the future recipients for our clothing donations (and hopefully soon other items like art supplies, medicine and drinking water). 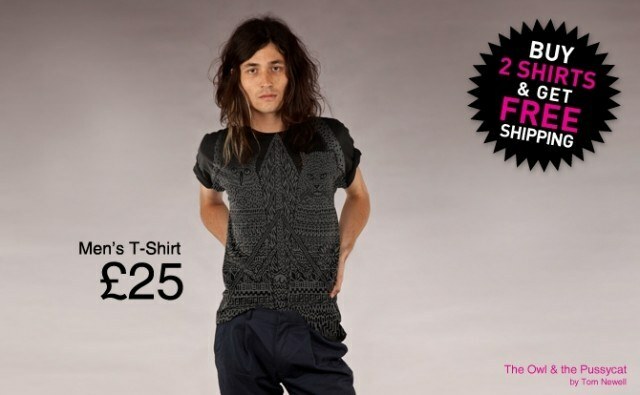 What sets Goodfibres apart from all the other t-shirt stores? We are more than just a shirt store. We think that, as artists, and friends of artists, we can use our talents for something positive by teaming up our collective voice to help people who need it. Firstly, we aim to help the artists who participate – we do this in many ways, but mainly by allowing every designer to retain the rights to their artwork and by giving them 10% of the proceeds on each sale. Next, we want our artists and customers to feel that they are participating in something that is making a difference so we match every purchase by donating to communities in need. It’s a win-win situation for everyone involved. I think that’s what sets us apart from other T-shirt companies, that and having really cool shirts! A big part of Goodfibres mission is to help others and the first recipient of this help will be the Haiti Hospital Appeal. How was this selected? It just seemed topical to us when we were starting. The earthquake in Haiti was a terrible thing that happened last year and we thought it would be a good place to start as they still haven’t recovered from the devastation. We don’t want to be preachy or bring people down but we think that if we can take some of the business and spending in the developed nations and channel it towards doing positive things in areas that are in need then we should. It doesn’t require much to make a large impact. If we can help make it easy for the consumer then hopefully we can inspire them to do more. As we continue and get our forum section up and running we will be leaning on our user base to help decide future recipients for our donations. Goodfibres is just a couple of months old but already has a great selection of t-shirts from awesome artists and designers. Did it all come together quickly or was it a long laborious project? It did take a while to figure out what we wanted to do and convince people to get involved but I have to say it didn’t feel like it, and certainly didn’t feel like a chore at all. Everyone has been a joy to work with and has been pretty keen on helping build a successful community as we have been promoting a “tide lifting all boats” type of enterprise. There has been a lot of work to do but everyone involved from design to production has been so amazing, everyone’s been really helpful. Not including the t-shirt artists, how many people were involved with setting up and launching Goodfibres? We worked very hard to make it happen with a very small core team although we utilized the creative input from everyone at Spinning Hat. We also had a lot of invaluable input from other great individuals in areas such as PR, web design and photography, so it has been really great. I believe you reached out to many artists to see if they would like to be involved in the Goodfibres project. How did you choose who to contact? We all had an idea of artists we liked and people who inspired us locally so we started there naturally. A lot of it worked on word of mouth, as we approached people who would recommend other artists who they thought would gravitate to the project. So it grew organically but before that we did a lot of research online and spoke to a lot of people to get us to where we are today. One of the artists on Goodfibres is the previous Shirt List interviewee, Dale Edwin Murray (be sure to read the Dale Edwin Murray interview). How did that come about? We invited Dale to the office to run him through Goodfibres to explain what we wanted to achieve and also the artists that we had approached and managed to get on board from the offset. He seemed really keen on the concept and loved the idea that we were helping communities in need. Another key point was the fact that Goodfibre’s never takes ownership of submitted and winning artwork which means artists can then reuse their artwork in other ways. So we were really chuffed when Dale said he was up for getting involved as we love his artwork! Will you continue to actively search out artists or will your future tees be selected from the submissions on your website? Perhaps a combination of both? Definitely a combination of both. We hope to be responsible for launching talented young artists’ careers that gain popularity on the site but we will also reach out to VIP artists who believe in what we stand for and want to be involved in any way. We are pretty open at this point and don’t want to turn away talented and caring people. If you had ten seconds to choose a t-shirt for yourself from Goodfibres which one would it be? There are so many it’s a difficult one to choose but the one I’m wearing today is the No.243 by the very talented David Luepschen. In a 2009 interview you said that within 5 years you hoped that Spinning Hat would be a recognized high street brand with products sold all over the world. Would you say you are there already? With the introduction of Goodfibres have your goals changed? Spinning Hat is definitely becoming a recognised brand on the high street and we are now selling in over 30 countries around the world which is great. We have only been established for just over 6 years so we still have a long way to go but as long as we keep developing fun and innovative products then it can only go from strength to strength. What do you think you learned from Spinning Hat that will be useful running Goodfibres? We have learnt a lot over the years within the manufacturing and retailing space which I think will put us in good stead for building Goodfibres. Also, we have worked really hard in building an amazing team of creative people that really understands what our customers want and will go the extra mile to make it happen on both a product and service level. The new challenges we face with Goodfibres are around building our brand within in the digital space and also developing a strong creative community and so far everything is looking very positive. What mistakes have you made that you now know to avoid? Well I think the best bit of advice I can give is you can’t do everything yourself so surround yourself with lots of talented people. Design is a very important aspect of both Spinning Hat and Goodfibres. Are you a designer/artist? Although I love art and design my actual education has been within business and tech. I think this has a great advantage as lots of our competitors come from a design background so we tend to approach challenges and obstacles from a different perspective. What can we expect from Goodfibres in the future? Great things. Watch out for us! I’m currently a big fan of Boardwalk Empire. This Jon Penn interview was proudly brought to you by the Shirt List. Jon Penn talks about Goodfibres and the apparel business.